REGU-CYCLE™ is an herbal preparation for young women who are seeking relief from common symptoms associated with PMS. It has Saraca indica, which is an excellent source of tannins, catechin, and naturally occurring iron; Centella asiatica, which promotes healthy blood circulation, supports collagen tissue, and is considered in Ayurveda to support cognition by providing nutrients to the brain and the nervous system; and aloe vera, which, in addition to its traditional uses in liver and digestive support, also provides relief for common symptoms associated with PMS and supports female health. Symplocos racemosa sustains the uterus and promotes urinary health, and Bamboo manna also contains silica, which supports female reproductive health and provides relief for common symptoms associated with PMS. YoungFem™ also contains measured amounts of pyridoxal-5-phosphate, a form of vitamin B6 which has been shown to help with relieving common PMS symptoms. 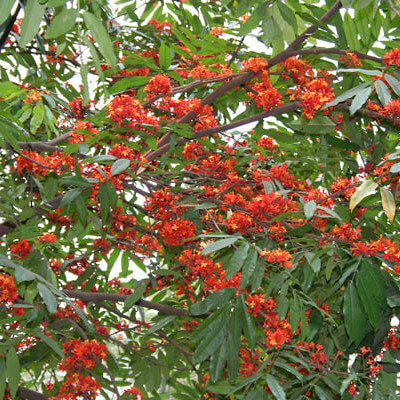 The Ashoka tree has been revered as a sacred tree. It was originally found mainly in the central part of the Deccan plateau and in the middle part of the Western Ghats in western India. Ayurveda has recognized this herb in treatment of female hormonal irregularities, especially in the cases of excessive bleeding, congestion, and pain. Specific conditions treated include : leucorrhoea, endometriosis, cysts, and fibroids.